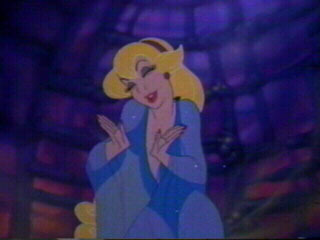 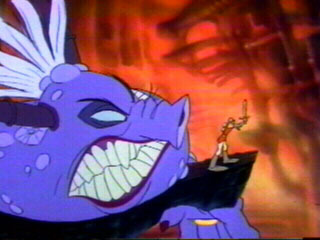 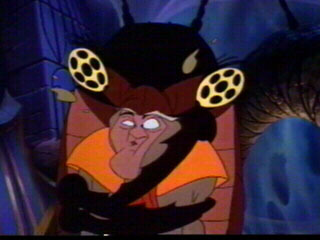 In late 1983, work began on Dragon's Lair II: Time Warp, but was halted in March of 1984. 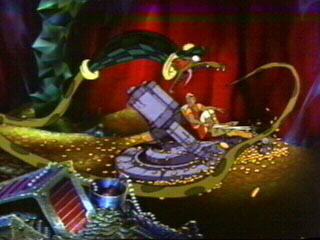 Through the years, though, Don and his crew continued work on it until it was finally completed in the late eighties. 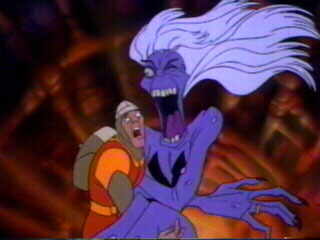 In late 1991, Sullivan Bluth Productions was ready to put Dragon's Lair II: Time Warp in the arcades. 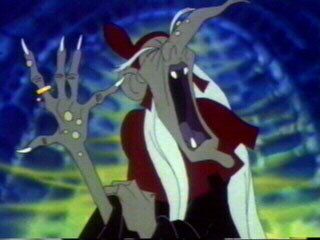 Manufactured by the Leland Corporation, this release used the latest technology and a more reliable laserdisc player. 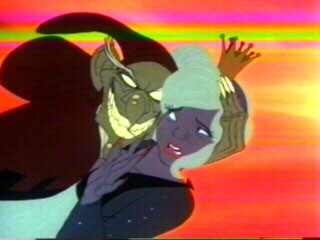 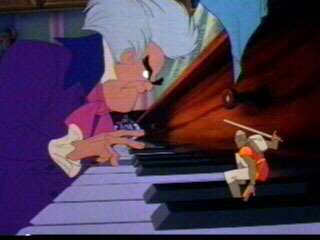 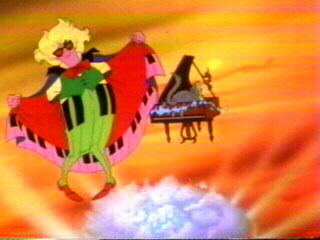 In Dragon's Lair II: Time Warp, the evil wizard Mordroc has kidnapped Daphne and transports her to different dimensions in time. 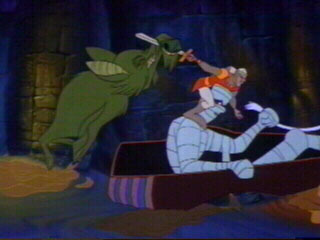 Mordroc plans to marry Daphne with the "Death Ring" in the "Casket of Doom". 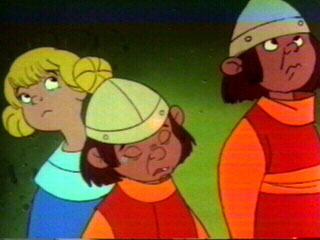 Dirk uses a time machine that he finds in Mordroc's castle to travel through time to catch up with Mordroc and Daphne. 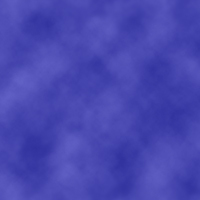 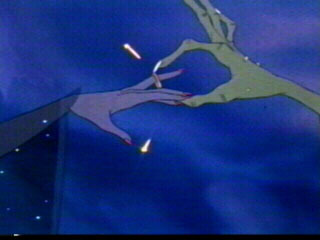 Dirk must rescue Daphne before Mordroc opens the "Casket of Doom" and places the "Death Ring" on Daphne's finger. 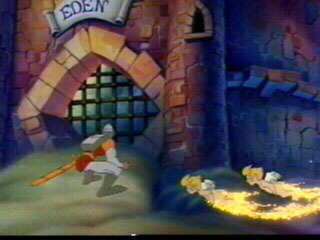 The Creators - Pictures and info of the men who created Dragon's Lair II: Time Warp. 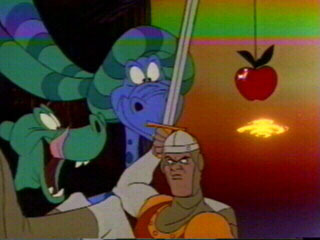 Dragon's Lair II Fatality Chart - An in-depth study of Dragon's Lair II fatalities. 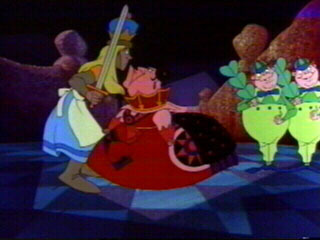 Easter Eggs - Tricks that be done on the DVD Video version. 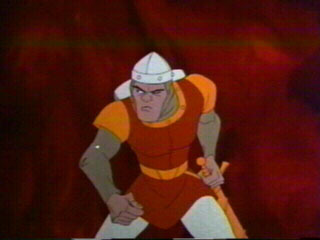 There were originally two different endings for the arcade release of Dragon's Lair II: Time Warp.